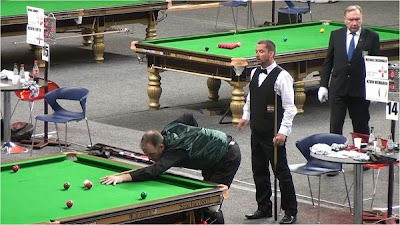 European Snooker Championships 2012 - Daugavpils, Latvia: European Snooker - Who are they? European Snooker - Who are they? Europe is one of the largest snooker playing regions in the world, with more than thirty active member countries in the EBSA and the numbers are growing all the time. The EBSA hosts three major tournaments annually, The European Championships with events for Men,Women and Seniors and the European Under 19 Championship, displaying the best up and coming talent from across the continent. In 2004 the EBSA launched a new event - The European Team Cup, featuring events for Men, Seniors and Ladies. The inaugural event, which incorporates the former Continental Team Cup, was held in Riga, Latvia in March 2004. The EBSA also organise the WSA European Play Offs, with the winners gaining coveted professional places on the WSA Challenge Tour.